Kim from JustBYou & I are holding a joint sale and give away. 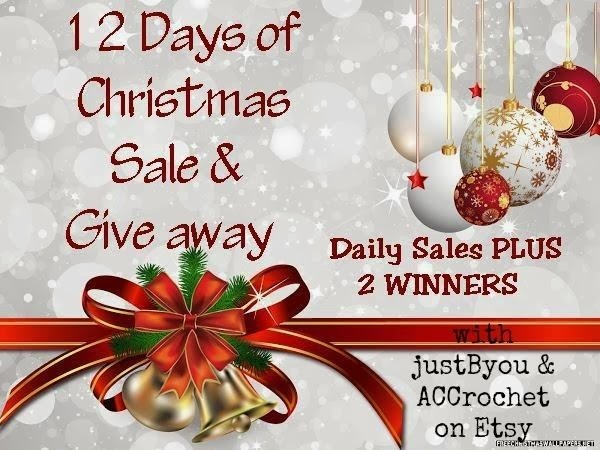 We will each have door crasher sales daily with a give away winner picked on December 23rd. 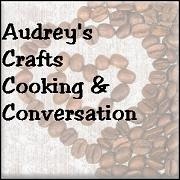 Here are a list of the sales for Audrey's Cozy Crochet during the event. Have a look through my shop and pick the day you might want to purchase a gift for yourself or a friend. There will be a free gift with every purchase made during the event. And any orders over $50 (not including shipping) will be FREE SHIPPING. I will ship internationally - just ask for shipping rates on the item you are interested in. 11: DOOR CRASHER SALE! On this Cotton Kitchen Gift Set in Blues. Purchase 1 item from the section and receive another free. Leave a "note to seller" at check out with the name and link to the item you would like for free. Love the Handstamped Guitar Pick Keychain from JustBYou - my boyfriend would love it! my favourite from audrey's shop are the crocheted infinisty scarves i love the granite gray colour the best.